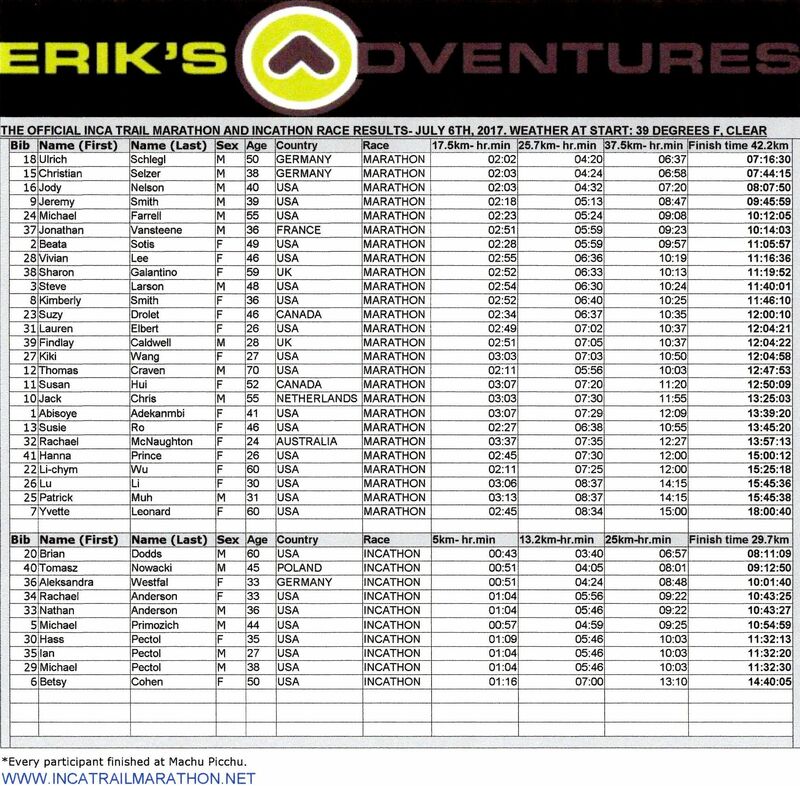 Erik’s Adventures 2017 Inca Trail Marathon Results. Congratulations to all of you! All Runners did a great job by finishing at Machu Picchu! A very special thanks to our spectators for all your support this year! Official 26.2 mile 2017 Inca Trail Marathon Results and Incathon Trail Race Results. Since 2012, runners can now participate in a standard marathon distance race that is rated by many the most difficult marathon in the world- to the best finish line anywhere- Machu Picchu, Peru! Join us in 2018!